Savvy marketeers and branding experts understand the power of packaging. More than just a medium to convey a purchase from store to home, a luxury carrier bag presents the opportunity to broadcast your brand, keeping it in the public eye and abreast of the trend. Luxury carrier bags are versatile, multi-purpose objects boosting brand awareness wherever and however they’re used, while reducing impact on the environment at the same time. Eco-friendly Kraft paper bags, for instance, are a long-lasting and cost-effective way to promote your brand. Printed with vegetable-based inks on sustainable papers, they offer a totally recyclable option, sure to strike a chord with today’s eco-conscious consumers. Well-designed, expertly crafted packaging can connect with your customers beyond the bag itself. Every day we see carrier bags re-used way past their original intention – in the street as shopping bags and students’ book bags and in the home to store clothing such as hats, scarves and gloves. Designer-branded carrier bags from high-end retailers are desirable items in their own right – an extension if you like, of the products they carry, be it clothing, jewellery or perfumes. This ‘added value’ benefit instils confidence in and warms consumers to your brand as they tote their designer carrier bags like trophies of style and good taste. Retail staff too can bask in a morale boost every time they spot ‘their’ bag on their travels or daily commute. A growing phenomenon is for consumers to share their bags on social media sites such as Instagram, Pinterest and particularly YouTube where ‘unboxing’ videos show eager customers unpacking their latest designer purchases. The latter practice serves to validate the authenticity of the products themselves – an important factor when counterfeit goods are a real problem for designer brands. All these media offer yet more valuable opportunities for brand exposure, enhancing the potential of your ROI. And more unconventionally still, there is a growing market for collectable carrier bags, where online auction sites provide a platform for enthusiasts to buy current and ‘vintage’ packaging. (As far as we are aware there’s not an ‘ology’ for this at the moment!). We’d also hazard a guess that some people might even paper a feature wall using colourful floral or graphic-patterned carrier bags. For stores, it’s vital to take advantage of these trends by introducing stunning new packaging designs on a seasonal basis or by celebrating key dates in the retail calendar such as Christmas, Valentine’s Day or sale periods. Marketing gurus tell us that when making a purchasing decision, human beings are driven by emotional rather than rational thought processes such as – love, trust, respect and happiness. Consumers are visual creatures too, responding to functionality and good design. For retailers, such traits are the key to successful trading and brand loyalty and of course, in today’s highly competitive marketplace, long-term brand loyalty is something we all strive for. Thanks to their aspirational appeal, luxury products will always have a loyal consumer base and together with celebrity endorsements and media exposure, demand for the latest handbag, dress or fragrance will never diminish. And stand-out luxury packaging is the natural complement, creating an extra frisson of excitement. 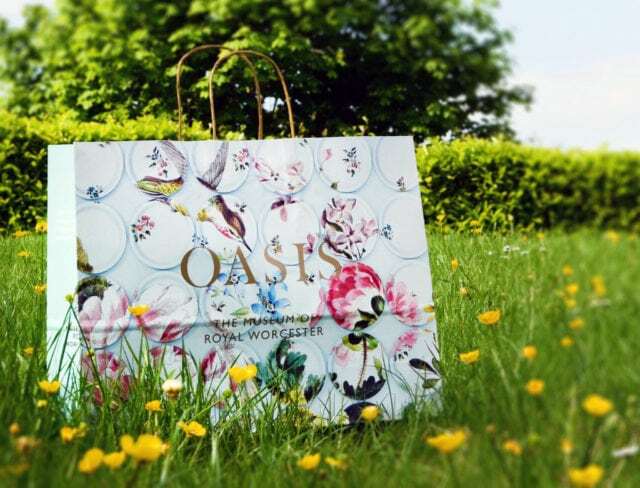 At Keenpac, we are renowned for creating and manufacturing carrier bags and packaging for some of the world’s leading luxury brands, including Dior, Versace, Paul Smith, Burberry and more. Our in-house creative team works in collaboration with our clients’ own design and marketing departments to produce innovative, bespoke designs that amplify your brand image or logo through choices of colour, paper stock and printing techniques.